On Tuesday evening, May 8, Yeshiva University’s Zahava and Moshael Straus Center for Torah and Western Thought, the Yeshiva University Museum and Commentary Magazine will present a pre-Shavuot program entitled “Moses in Film: From the Ten Commandments to The Prince of Egypt,” which will feature a cinematic exploration of Biblical proportions conducted by leading intellectuals and culture mavens John Podhoretz and Rabbi Meir Soloveichik. The event will run from 7 to 8 p.m. in the Leo and Julia Forchheimer Auditorium at the Yeshiva University Museum,15 West 16th Street in New York City. While screening clips from classic films, Podhoretz and Rabbi Soloveichik will discuss the varied depictions and characterizations of Moses in feature films and compare the Biblical text to famous movie storylines and dialogue. 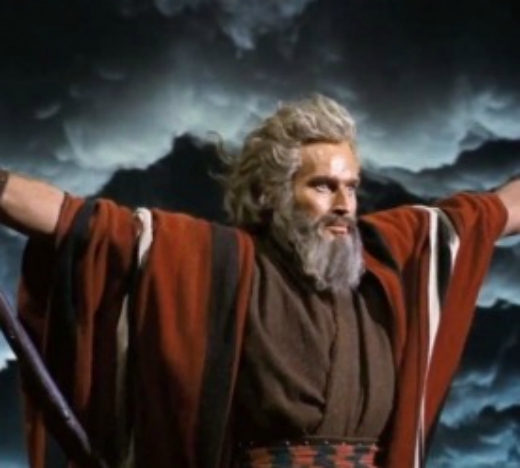 Few Hebrew Biblical figures have exercised as much fascination for writers, artists and filmmakers as Moses. From Cecil B. DeMille to Ridley Scott, the figure of Moses has inspired monumental cinematic productions and some of the greatest, most compelling movie epics of our time. This event will break down this decades-old allure and provide attendees with some unique food for thought just in time for Shavuot. General admission is $10, and discounted admission for students and seniors is $5. For more information, please e-mail strauscenter@yu.edu or call 212.960.5400 x6902.